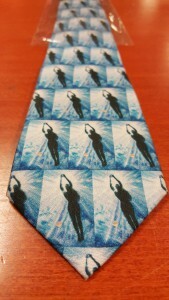 The tie is 100% silk, made in Italy, and they are all individually wrapped in cellophane bags. 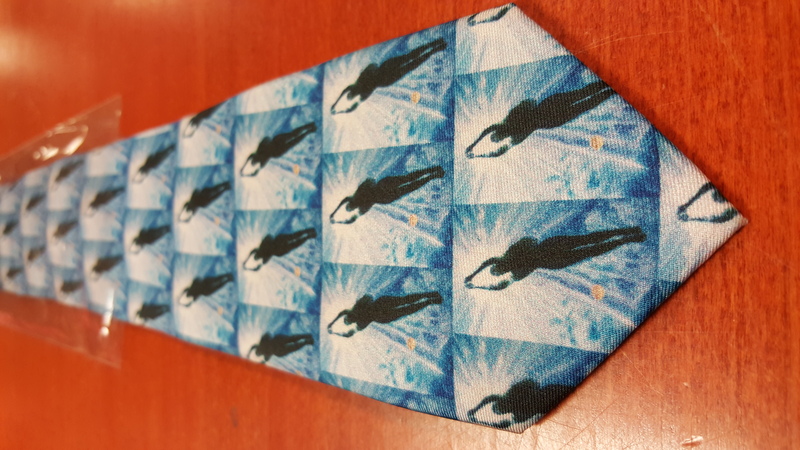 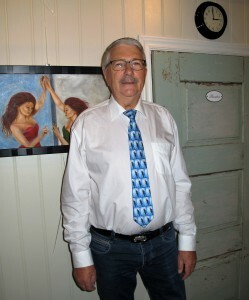 This is a test tie, – which i have approved today, -according to the plan these art ties should be here at my art studio by mid-December. The tie model you can see below is Ole Trygve Foseide, journalist from Trollheimsporten, he was very sporty and agreed to be my first tie model on very short notice!